RUSH: Okay, so yesterday the former president, Barack Hussein Obama, who is just — this is pathetic. It is pathetic. Barack Obama, wherever he goes, is trying to claim credit for all of the good that is happening, primarily in the U.S. economy. But wherever it is, Obama is asking people (imitating Obama), “I want you to remember where it started and who to thank. That’s right. I want you to say thank you.” He’s saying this stuff to people. The degree to which we are threatened — that may be too strong a word, but I’ll stick with it. The degree to which we are having to deal with people who are not psychologically secure, and by that I mean the majority of the American left, is frightening. So there is at Rice University a new political institute. It’s the James A. Baker political institute. The James A. Baker who was secretary of state for George H. W. Bush. He’s from the Bush branch of the Republican Party. Rice University is in Houston. So he’s got this Baker think tank there. And they had Obama. That makes sense, doesn’t it? The Bush wing of the Republican Party inviting former President Barack Hussein O to come down and basically rip the current Republican president at the James A. Baker Political Institute at Rice University. 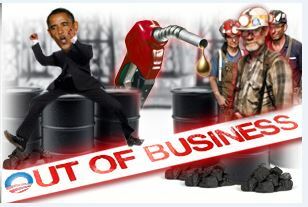 And Obama, you know, talk about (imitating Obama), “Suddenly America is the largest oil producer. Well, that was me, people. Say thank you.” He said this! “That was me.” That was you? You tried to shut down oil production everywhere you could! You wouldn’t authorize pipelines! You’re building stupid windmills and solar panels everywhere! What do you mean, the oil boom is you? Look, you know, folks, I’m gonna have to consciously dial it down here ’cause I don’t know how it sounds with me being this mad or agitated or whatever. The last thing I want to do is upset any of you. But some of this stuff, you know, you deal with this garbage every day, you refute it every day, you disprove these people every day, and they still keep lying to people. And then the Drive-By Media is out there promoting and selling all of this BS at the same time. So here’s some more detail. We got some audio of this, so stand by. James A. Baker did some of the interviewing of Obama, along with Jon Meacham, who used to run Newsweek. “Without mentioning President Trump, former President Barack Obama praised his indictment-free tenure Tuesday during an invitation-only gala in Houston. I think Barack Obama oversaw some of the greatest scandal in our country. The politicization and the weaponization of the IRS. Hello, Lois Lerner. The weaponization, the politicization of the DOJ, the FBI, the CIA, the DNI, and everything to do with this investigation into Trump. You talk about corruption, the whole FBI, the leadership during Obama’s era was corrupt. Our intelligence agencies were in on this. FISA courts might even be involved in it. And his secretary of state, Hillary Clinton, was allowed to create and maintain an illegal, hidden email server that facilitated the criminal exposure and mishandling of thousands of classified documents and allowed her to have a pay for play scheme with foreign donors to the Clinton Foundation off the record so that none of it was on government computer servers. By the way, have you seen what happened to donations to the Clinton Foundation since she lost? They’re like down 90% ’cause there’s no reason to pay, because there won’t be any play. Since Hillary’s not in the White House, there’s no reason to pay to try to influence her thinking. Clinton Foundation donations have practically come to an end. A screeching halt. Now the Clintons can’t even fill arenas as they go out and try to prove that they are just as popular as Donald Trump. Obama can run around and talk about nope, nobody on my team was indicted. That’s because nobody had the guts to investigate! Nobody had the guts to criticize this administration! Obama had a boundary around him that never was gonna be permeated. It wasn’t even gonna be approached. It’s called race. This permitted the media to act like Obama was a straight arrow and a moderate, mainstream guy with the sharpest crease in his slacks any president had ever had. So let’s go to the audio sound bites. This is not where he’s being interviewed by James A. Baker III. This is history professor and former Newsweek editor Jon Meacham or Meacham, I’m not sure how he pronounces it and here’s the first bite of their discussion. OBAMA: Members of Congress now are entirely secure that they’ll win their seat if they get the nomination. What they’ve gotta worry about is do I have somebody from farther to my right or farther to my left who’s gonna run against me in a primary. They then are not willing to stray from whatever the party line has become. You’ve got folks like Limbaugh and others who are enforcing what they consider to be ideological purity of some sort. What you had by the time I arrived is a Congress that has difficulty getting out of campaign mode and into governance mode. RUSH: For crying out loud, I don’t know where to start with this. This guy never left campaign mode. 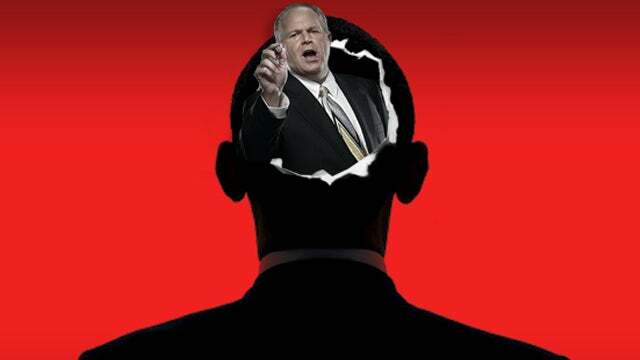 It led to me creating the Limbaugh Theorem to explain how he never left the campaign mode. Obama was masterful. As he was doing all these transformational things which were damaging the U.S. economy and overturning the health care system, he acted like he had nothing to do with it. He acted like he was up against these powerful forces, like me and others. And it was incredible to watch. The media really helped him get away with this. He was the president, but he was powerless. Was powerless to stop all of these things. You may have forgotten that the first two weeks of Obama’s regime he calls up all the leaders of Congress, House and Senate, Republican and Democrat, and at the end of the meeting or near the end of the meeting he looks at John Boehner, who at the time was the Republican speaker, and told Boehner and the rest of the Republicans that they gotta stop listening to Rush Limbaugh. That’s just not how things are gonna get done here now. And Boehner said, “I didn’t think of that. I just couldn’t figure out why he was doing it.” ‘Cause Boehner’s probably saying, “We don’t listen to you anyway; so what’s he talking about?” (laughing) But, anyway, it happened. Now, here’s more from Obama. Just listen. I don’t have to characterize it. OBAMA: I still feel bad for Charlie Crist down in Florida, the governor, hugely popular, but hadn’t gotten the memo that he wasn’t supposed to cooperate with me. I think the fact that I kind of gave him a little bro hug, you know. That was it. I mean, he… (laughter) I felt bad for the guy because he became a cause celebre inside of the Republican media — or the — the Limbaugh, Fox News media world, which is how Marco Rubio got elected, essentially, was saying you are not a true believer. RUSH: This guy’s been out of office for two years, he was in office for eight years, and, for some reason, I’m still there living rent-free in his brain, and he’s using me as — I don’t know — his excuse or whatever. I think what it is, I think it was my Wall Street Journal editorial of four words shortly after he’d been immaculated. They asked me for 400. I said I don’t need 400. I can do it in four: “I Hope He Fails.” And I don’t think they have ever gotten over that. And they knew what I meant even though they continued to mischaracterize it as me saying I hope the country failed. It was the exact opposite. OBAMA: Well, what is true is that the ability of Republican leaders to rile up their base, helped along by folks like Rush Limbaugh, some commentators on Fox News, I think created an environment in which Republican voters would punish Republicans for cooperating with me, that hothouse of back-and-forth arguments and really sharp partisanship I think has been harmful to the country. RUSH: What do you notice about this? You notice that none of what he or the left or the Democrats do is partisan. No. It’s just normal. It’s just what is. It’s the natural order of things. And any opponents, anybody that opposes them are radical or partisan, rigid ideologues. You know, as ideological as I am, I can’t compare to Barack Obama. I can’t compare, and nor can anybody I know on the right compare to the rigid ideological structure and belief system of Barack Obama, who comes from the genealogical tree of Saul Alinsky and the Communist Party. And yet I am considered to be this strident, ideologically pure, unwavering obstacle. And all I am is a guy on the radio. I never had a vote against him. I never had a say in what happened with health care or Benghazi or anything else. There’s not a thing I could do to stop, to impede, or to help the Obama agenda. What this really is, there were a lot of Republicans afraid to oppose him, folks, because of race. They just didn’t want to be called racists, bigots, scared to death. And believe me, the Democrats made as much of that as they could. They knew that there were boundaries around Obama that nobody would get close to. But to us here they didn’t exist because he wasn’t black; he wasn’t male; he was president of the United States whose ideas mattered and with whom we disagreed. I got past the historical racial component of this after the inauguration. After that, the idea that you can’t criticize the president — and they parlayed this like you can’t believe. That’s why they want the first female president, can’t criticize her, you’d be sexist. Then they want the first Hispanic president, can’t criticize them, you’d be racist and bigoted all over again. It’s what these people do, try to shut down, stifle, and end any opposing speech that they don’t want to hear. RUSH: So Barack Obama says that he’s responsible for the oil boom. Somebody tell me what Obama did to support the fossil fuel industry. Was it when he promised to shut down the coal industry in America? Was it all of his massive regulations? He wanted to drive up the price of electricity generated by coal so that coal mines would have to be shut down. And do we remember Barack Hussein Obama running around along with the rest of his party, “We can’t drill our way out of this. We just can’t do it. We can’t drill our way out.” And that was a response to Sarah Palin. You know, she was out there saying, “Drill, baby, drill.” And that shook the Democrats. We can’t drill our way out. Now Obama’s taking credit for this, trying to shut down fracking, which is the latest innovation to extract oil from places nobody even knew it was. Next articleYour Chance to Win the Rush Limbaugh Store Contest Ends at Midnight Pacific Time!